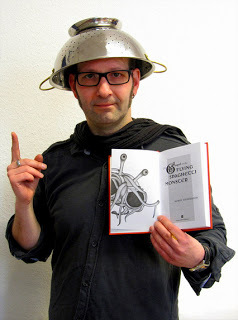 Breaking news from Texas: After long fight, an American Pastafarian finally wins the right to don religious headwear in the photo for his state-issued driver’s license. So why is this news? Because, despite the figurative wall between religion and government, the two still somehow manage to overlap even today. Take marriage for example. Yes, the term traditionally refers to a union between a man and a woman and just as any clear definition cannot and should not be altered. But it is an inherently religious term. 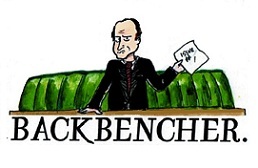 So how has it managed to find its way onto government documents and into government policy? Bar mitzvahs and confirmations are religious ceremonies signifying a child’s readiness to become an adult, yet these have no standing in relation to age restricted practices such as military service, the purchase of alcohol and tobacco or voting as regulated by the state. 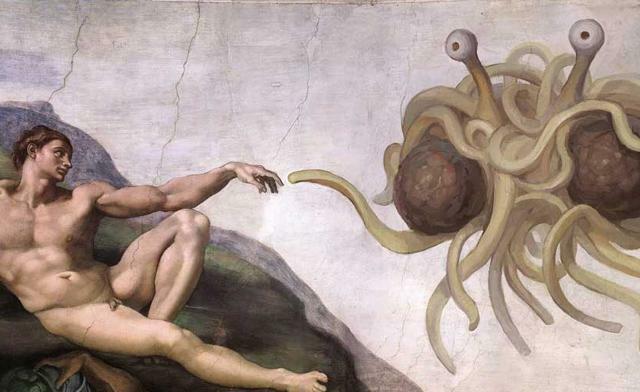 Pastafarianism was specifically created as a tool to point out these shortcomings. While their mockery and silly displays often distort or damage their otherwise reasonable message, the movement does provide points upon which to reflect. One only has to recall the most recent Republican Presidential Primary to realize how important and relevant this debate is in the nation so proud of freedom and liberty. Does this mean that Pastafarians cheapen or mock larger, ancient, or more devout religions? The simple answer is that it does not matter. It is not for the government to pass judgment on what is and what falls short of qualifying as a religion. To even use terms such as real or established or world religion to describe one or many particular faiths over any other immediately suggests a hierarchy of qualification. If such a ladder of legitimacy exists, how and where is the line drawn between each? When I finally passed my driving test, I was not permitted to leave my beloved Red Sox hat on my head. I acknowledge that perhaps I am not religiously devoted to Red Sox Nation but I would argue that I know a few people who are. In any case I have made more trips to Fenway Park this year than I have to celebrate mass. So then the answer is all or none. If the Muslim women can wear a hijab (a burka would be out of the question for identification purposes) and a Jew can wear his yamaka and the Christian nun can wear her habit, then the Pastafarian can wear his colander and the devotee of Red Sox Nation can wear his cap. There can be no exceptions to the law. Better yet, do not allow any of it. The responsibility or the burden to distinguish between ‘legitimate’ and frivolous religious claims should not fall upon regulators and legislators. In order to live in a civil society, citizens must obey the law. If the law and religion are truly kept separate, there should be little conflict of interest to cause confusion.